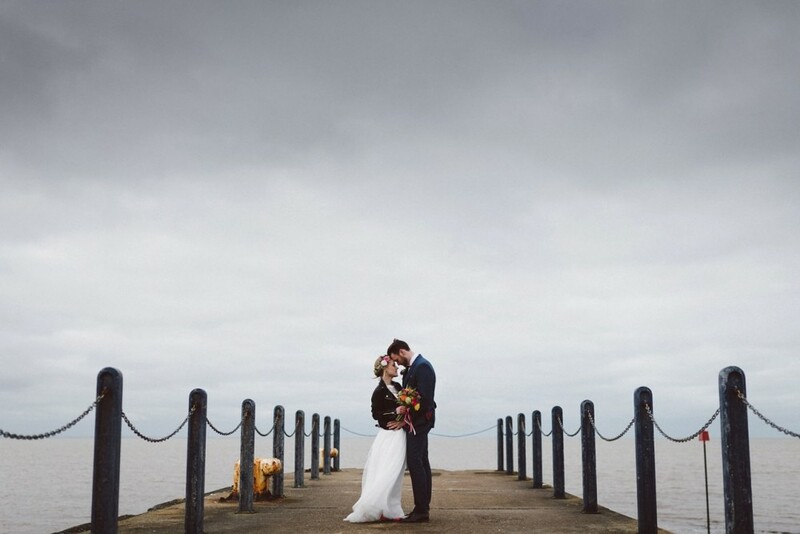 This colourful and industrial seaside wedding took place at the fabulous East Quay Venue in Whitstable, Kent. 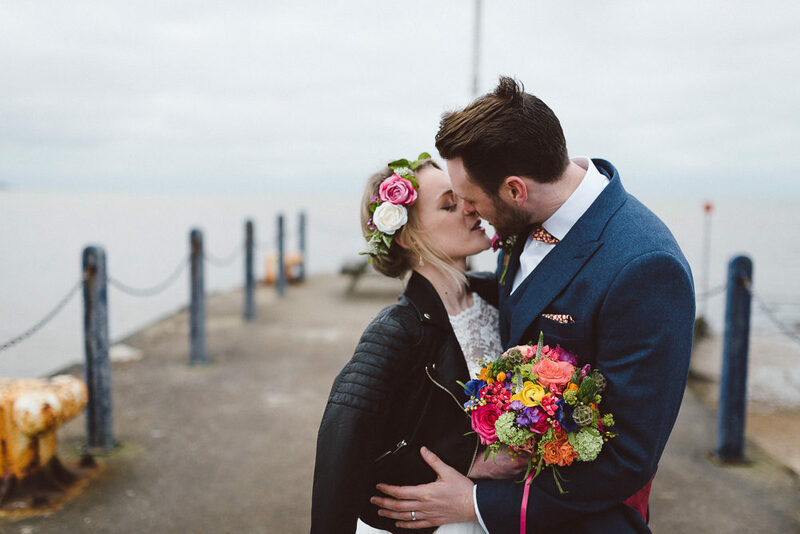 With the weather a little moody, and the florals bright and pretty, it created a stunning backdrop for some truly spectacular portraits captured by Ross Hurley of this incredibly cool couple. 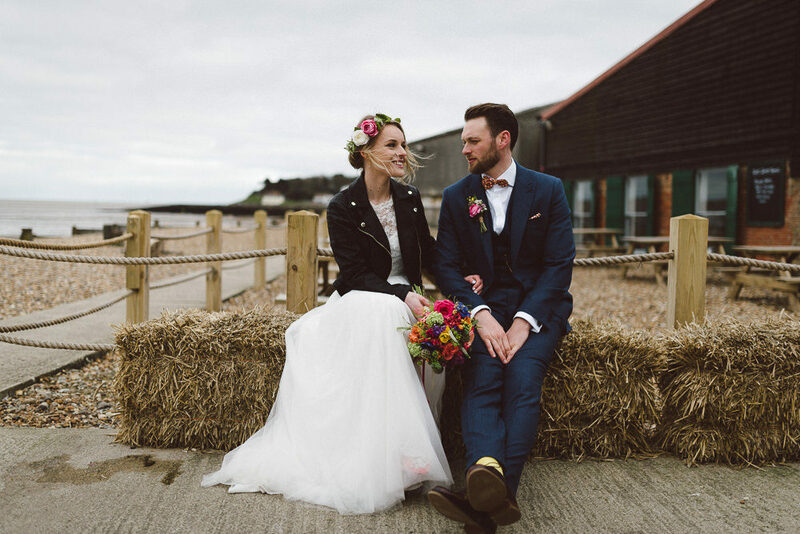 Keeping everything relaxed and complimenting East Quay’s decor, they filled it to the brim with antique finds and vintage props all offset with the vibrant blooms spilling out of everything. It really does look incredible. 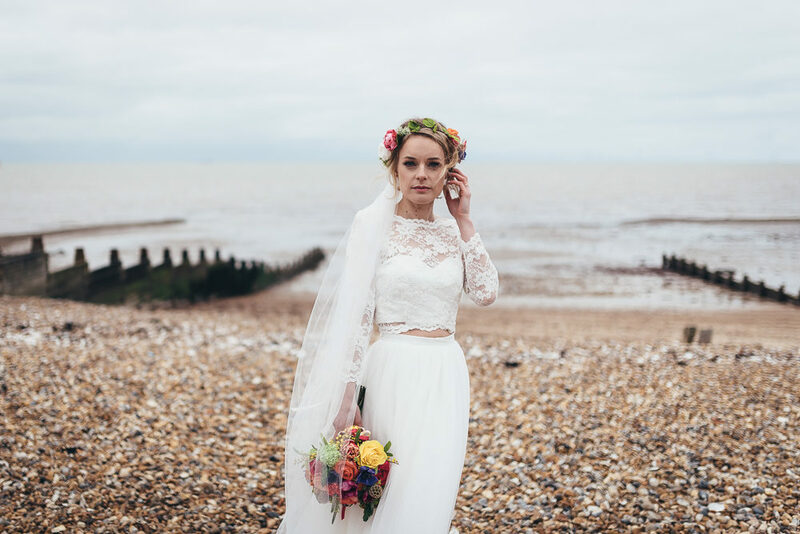 As does Charlotte in her bespoke cropped lace top & tulle skirt by Vintage Trousseau. 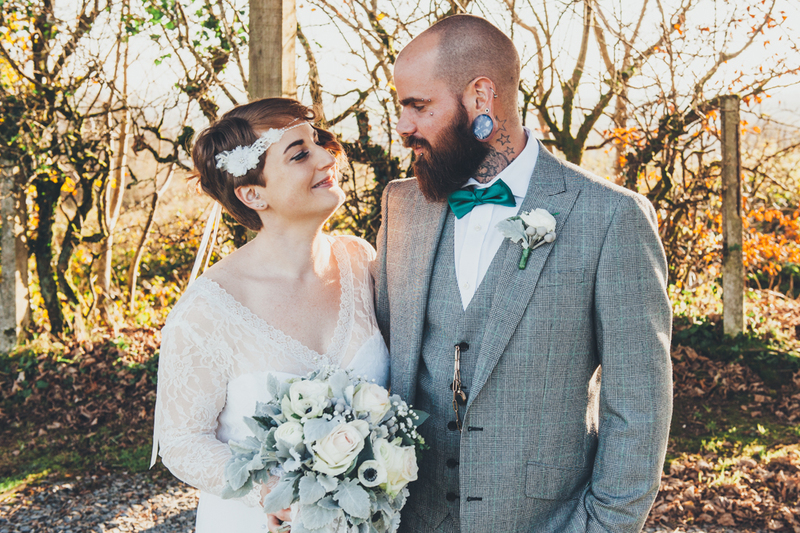 She mentions not being able to imagine wearing anything else after trying on the bridal separates, and I have to agree with her. 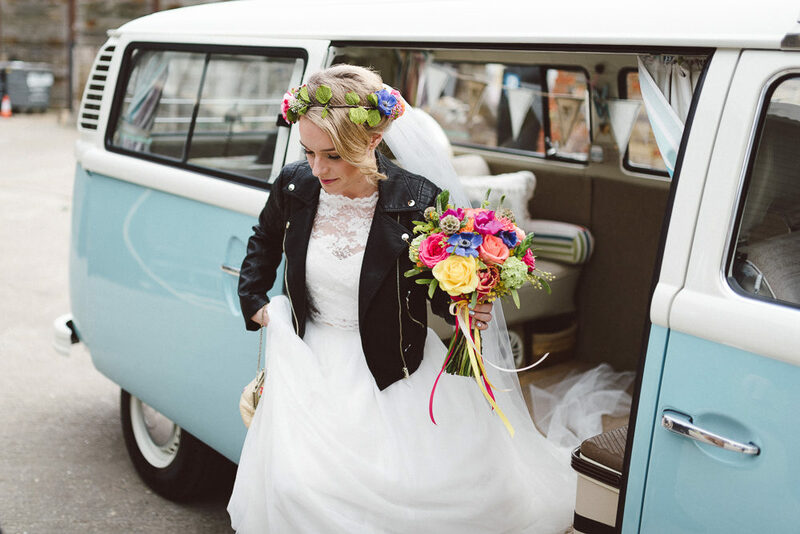 Her bridal look along with the floral headpiece and leather jacket cover up suits her down to the ground. 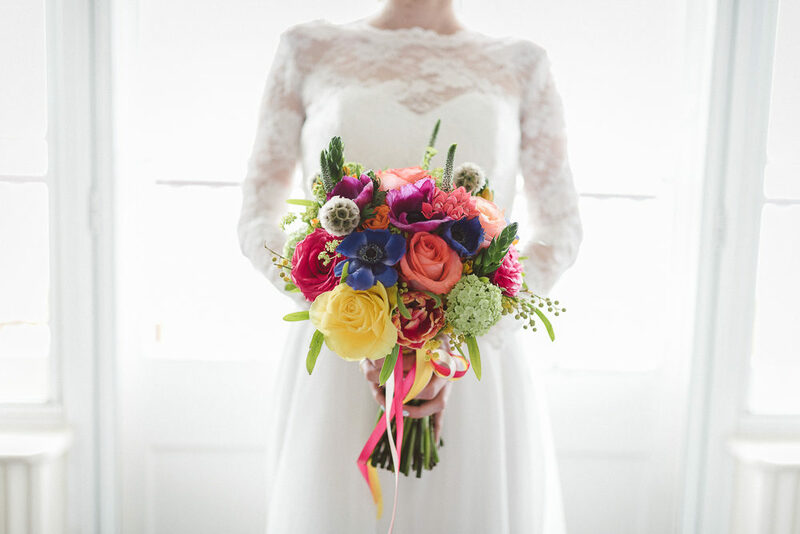 What a bridal beauty, and what a fabulous and fun wedding. 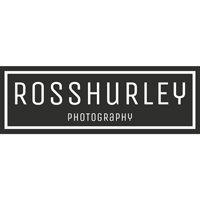 I can’t write about Ross Hurley Photography without saying that I just love the way his photography tells a story, he captures the tiniest of glances, the fleeting moments, and the unrestrained dance moves effortlessly. 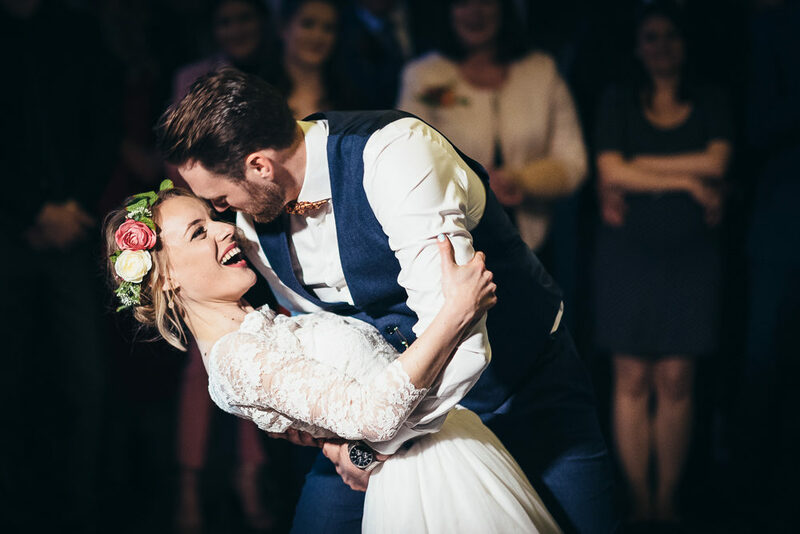 By the end of looking at a couple’s photographs you feel like you really know them, and we believe that part of the art of photography is being a great story teller, so Ross has got himself some serious RMW points. 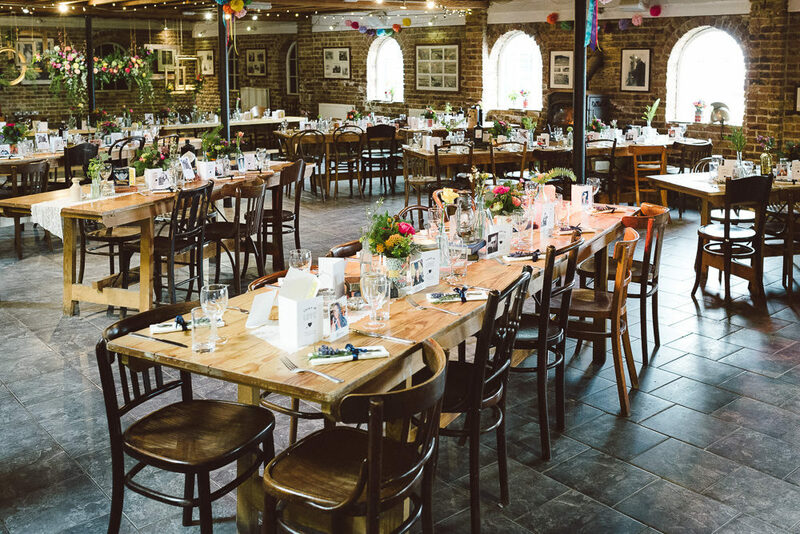 Right in the heart of Cornwall the beautiful and intimate winter wedding of Vicky & Tom took place at the charming Trevenna Barns. 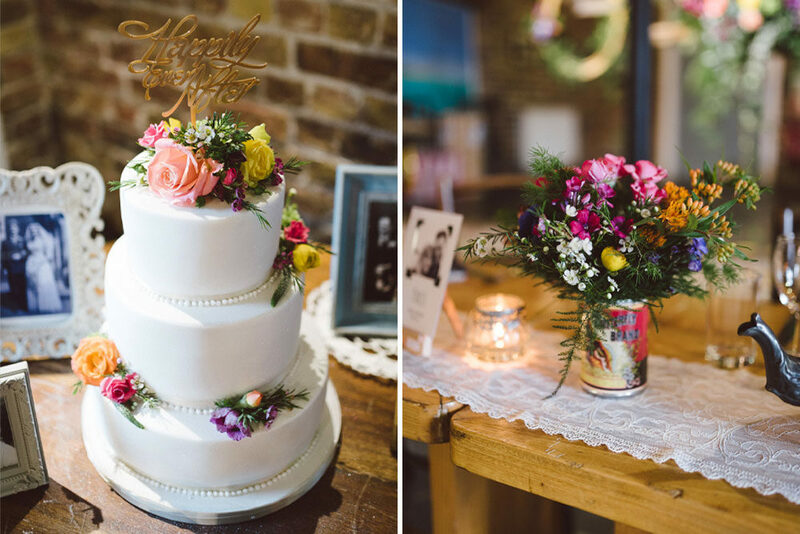 Vicky & Tom decorated the rustic marquee with lots of lace, twinkling fairy lights & of course a Christmas tree! They added lots of festive fragrances, including cinnamon sticks & scented candles. 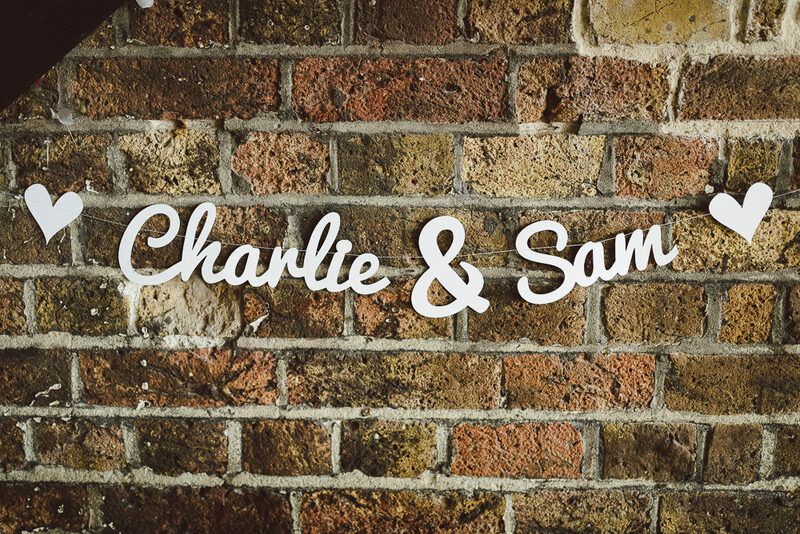 I bet it all smelt AMAZING and will forever be a comforting reminder of their day. If only this page had scratch & sniff! Warning, if you’ve skipped lunch it might be a good idea to continue reading when your tummy is a bit more satisfied as the mention of all the down to earth hearty food will have you drooling! I literally can’t stop thinking about all those pies – mmm yum! 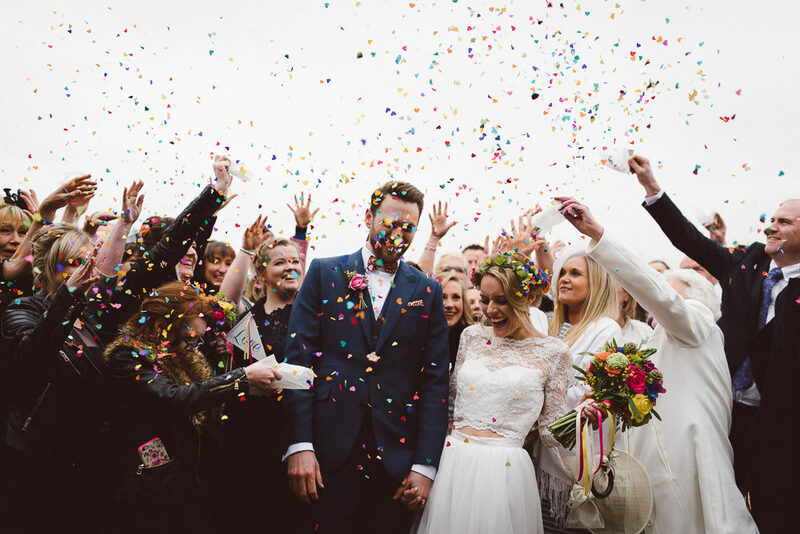 This wedding will fill you with a warm, cozy & content afterglow. It’s simply beautiful in every way!